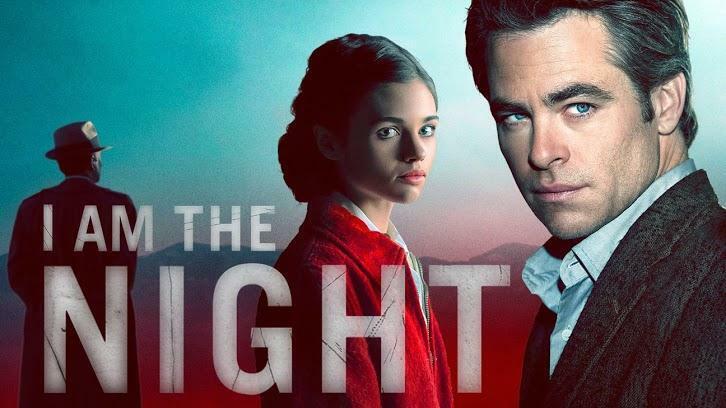 Episode 2 of Patty Jenkins's 6 part series premieres Monday, February 4 at 9pm on TNT; starring Chris Pine and India Eisley. Another riveting episode ensues in this intriguing and twisted puzzle of a story based on the real-life Fauna Hodel's autobiography, One Day She'll Darken: The Mysterious Beginnings Of Fauna Hodel. Fauna/Pat arrives in Los Angeles; at Jimmy Lee's sister's loving home. And Jay has a new-found desire to live again after the George Hodel tip from Jimmy Lee. Jay's editor friend, Peter, quickly admonishes Jay for 'going down that road again.' It seems that Jay was just one of the many people destroyed by the mysterious and elusive Dr. Hodel. But can one man actually be that bad? So, Jay settles; running down leads in the Bloody Romeo killings in L.A. And in Jay's search we are treated to a guest spot from one of the finest character actresses, Ms. Dale Dickey. She makes even this terrific show better and gives Jay some rather important information about nuns. Fauna meets a sweet, new friend, Terrence (a friend of her cousin's), and spends time with Dr. Hodel's peculiar ex-wife, Corinna; learning much about her grandfather along the way. But in the end, she hears one shocking truth that she is not yet ready to accept. Jay and Fauna's paths are on a direction to converge. We'll also be introduced to the iconic Sowden House; designed by Lloyd Wright (son of Frank Lloyd Wright) and owned by the Hodel family from 1945-1950. Also referred to as the 'Jaws House' because of the front exterior design resembling a shark's bite, the house is listed on the U.S. National Register of Historic Places. Will Fauna ever really meet her grandfather? And would it be better if she didn't? Why is Billis, the cop who beat up Jay, also following Fauna around L.A.? Why was George Hodel at Fauna's bus stop? Where is Fauna's mother, Tamar Hodel? Is she dead or alive? Who can you trust in this crazy circa 1960's Los Angeles? At some point, Jay, Fauna and Dr. Hodel may meet on their journeys and we will have most of the answers. In the meantime, hope you enjoy the ride as much as I have been!